25-year-old Founder and CEO of Lokai, Steven Izen, talks about his personal experience with Alzheimer’s disease and how it inspired him to create the purple Lokai bracelet to benefit the Alzheimer’s Association. Tell us about your connection to Alzheimer’s and your journey with the disease. My grandpa – known as “Papa” – was a man’s man and above everything else, extremely hard working. He had a great love for the water and was an avid boater. When I was a young kid, we would fish together on the docks in Florida. We were very close. In 2010, I was on the beach vacationing with family and thinking how lucky I was to be with people that meant so much to me when I learned that Papa had been diagnosed with Alzheimer’s. Everyone who has had an experience with Alzheimer’s knows how it feels. The news brought me to a dramatic low for the first time in my life. It was in such contrast to the gratitude I had been feeling to be on vacation in a beautiful place with people I loved. This contrast sparked the idea for Lokai. Every Lokai has a black bead that holds mud from the Dead Sea, the lowest point on Earth, signifying the difficult moments you experience throughout life. The white bead holds water from Mt. Everest, the highest point on Earth, representing life’s highest moments. These two elements represent life – its highs and its lows and how they come together and change in cycles throughout one’s journey. Alzheimer’s progressed quickly in my Papa’s case, within two years. Although he didn’t remember what I was working on, he knew I had started my own company, and I know he was proud. What was your family’s reaction to the creation of the purple Lokai bracelet in support of the Alzheimer’s Association? My Nana (Papa’s wife, my grandmother) loves wearing her purple Lokai bracelet. This Lokai means so much to her and my family, especially since Papa was my inspiration to start the company. My Papa taught me that you have to be willing to work hard to succeed, and he instilled an entrepreneurial spirit in me. I wish I could show him all that he inspired me to accomplish. What do you want to see happen to combat Alzheimer’s in your lifetime? I believe in funding research. 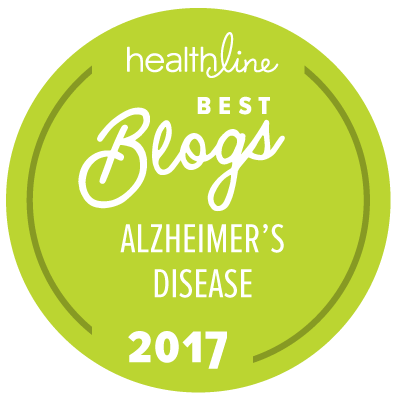 I have personally experienced what it is like having someone you love live and die with Alzheimer’s, so I obviously know how important caregiving resources are, but at the end of the day, I want to see the end of Alzheimer’s. We need to invest in and spend time on research; that is what I really want to support. Giving back is important to me. Lokai has created a global community of females, males, teens, grandparents and even high-profile athletes – everyone and anyone who has experienced life’s highs and lows. They share photos and memories on social media and draw attention to the cause. What would you like to say to those with a connection to Alzheimer’s who continue to experience its highs and lows? I encourage anyone who has a connection to Alzheimer’s to try something new. Don’t be afraid to fail. Make your dreams a reality. No matter how low your lows in life are, there are people supporting your journey in finding its high points. Never give up hope. And during the lows, know that you aren’t alone. After visiting Papa, we used to go out to lunch or dinner, recalling funny stories about him. Even though it was sad, it was a way to fit in some laughs in honor of him, and was a way for us to bond and reflect together as a family. I’ve seen how much each color of the Lokai bracelet affects people who support its cause; it’s so close to their hearts. I’m so happy that I have founded a company that is trying to make a difference based on Alzheimer’s, a cause that is so close to my heart. We need support from people of all ages if we are going to put an end to Alzheimer’s, and giving back is part of the Lokai DNA. I am proud to be part of this fight, and I know my Papa would be proud too. Lokai was built on the memory of Founder and CEO Steven Izen’s grandfather, who was diagnosed with Alzheimer’s in 2010 and passed away in 2012. Lokai will donate one dollar ($1.00) to the Alzheimer’s Association for each purple Lokai sold between February 1, 2016 and February 29, 2016 with a minimum contribution of $300,000. Unbelievably touching story and what a gift to your grandfather, your entire family and all of us affected by ALZ. I can't get to your site fast enough to purchase your purple Lokai's for my family. I am sad that I just saw this article and missed the donation to ALZ period ending Feb. 29. : ( Thank you though for all you have done; what a cool cool, special bracelet! Thumbs up, keep it going! I wear my bracelet every day for balance, I loss my papa to alz july 2014 and now my grandma is suffering from this disease. It’s a blessing to have you share your story and inspire your dreams to many…. God bless you for the motivation when im down..
What would you like to say to those with a connection to Alzheimer ’ s who continue to experience its highs and lows? I encourage anyone who has a connection to Alzheimer ’ s to try something new. And during the lows, know that you aren’t alone.